Home Back Office Why Should You Outsource Legal Work? 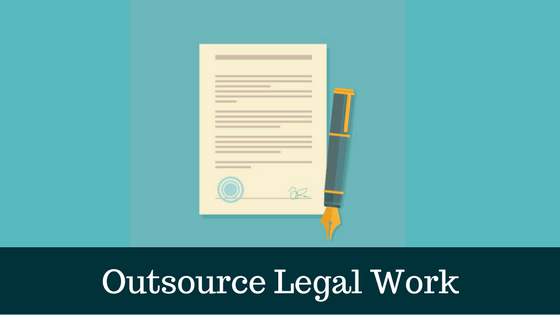 Outsourcing legal work has become a trend in the past few years. it is a growing trend in the legal profession due to the increasing fees and prices for legal services locally. No company or firm can function without a legal department that gets all the work sorted out and worked. ​So, it is an essential department and an essential sector in every company. So instead of paying the enormous fees you will have to pay to local legal firms that do-little work for huge fees, you can outsource that work to professionals abroad that will be able to take care of those issues in a professional manner and in the time, you need. Legal process outsourcing companies have increased due to the increasing demand in outsourcing. Firms in western countries have started outsourcing their legal work to ​benefit from the low living costs in countries like India and at the same time use trained professionals that are ready to perform your work in a timely manner and ensure the accuracy and legitimacy of your work. Outsourcing has become an essential part in every business, in order to keep up with the competitive markets and be able to keep up with the competition you have to use different new tactics like outsourcing to save up money and reduce your expenses while investing in improving your company's bottom line. Outsourcing has become more popular because of the economic downturn and the market liberalization. The pressure from your clients on the prices has driven a lot of firms to take the outsourcing direction and outsource huge legal work instead of just the small tasks. Even legal departments have started bypassing the local lawyers and just outsourcing all the work to legal firms abroad that are ready and understand what you need. Using these new technologies, we are able to provide a wide range of legal services that you will be able to use at an attractive price range. Our services range from work of lawyers, paralegals, legal secretaries and litigation. We are also able to offer services such as: patent services, legal services connected with registration of Trademark, search, legal formalities related to copyrights, filing, brand management, other management services related to IP asset protection. We are able to utilize our resources to service you in the subject or the matter you require. With the wide attorney pool we have, you can always find an experienced attorney in the field you need. As mentioned before, outsourcing legal work will save you a fortune that you can use in improving other aspects of your business or hiring staff in other departments that need more workers. 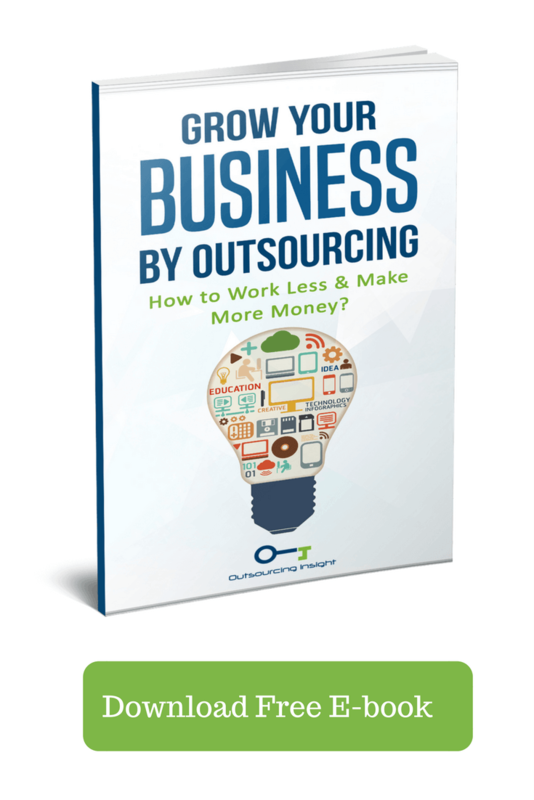 Outsourcing will give the highest quality work for the least costs, what's there to hate? With the availability of skilled labor, you can cut down your operating costs to as much as half. And don't worry, these lawyers are making more than enough to live, using the difference in wages between locally and in countries like India is a good tactic that has been used by a lot of firms and has proven to be successful. By outsourcing LPO services, you will be able to get legal support at any time of the day, you will always have attorneys that are ready to help you or provide you with what you need depending on the time zone you are based in. Our attorneys are trained and ready to help you in the time you need. By utilizing the time zones difference you will be able to have your projects worked on 24 hours a day. Outsourcing legal research work to external firms allows your organization to access a higher level of talent and niche expertise that won't exist within your firm. This happens a lot, for example: litigation firms might lack litigation support expertise so they may end up outsourcing certain aspect of litigation support such as document reviewing and coding to niche providers. Access to external talent is really useful for small firms to fill gaps in internal competencies. Legal work outsourcing also allows firms to tap into global expertise. Global expertise will be motivated and highly trained to handle all your legal work and will be ready for any consult. The use of external attorneys and external talent will help expand internal bandwidth to reduce the turnaround time for legal projects. The use of an onshore team and an offshore team will allow organizations to complete a project in a very short time frame. As mentioned before this will allow projects to be worked on for 24 hours a day since the time zone differences between countries. This will help get projects done in half the time it usually takes. Employing a combination of onshore and offshore firms will allow the law firm and organization to tailor the capabilities in response to the work load and client demands. For instance, you won't have to pay an entire department in case of having a slow week. Your legal department won't be sitting around doing nothing and getting paid, instead you will just hire a temporary attorney abroad that will handle the legal processes for this period of time. This will save a lot of money and reduce expenses. Workflow challenges are prevalent for small and mid-sized firms. These firms will find it difficult to spread variability due to fewer attorneys. By outsourcing to offshore lawyers, law firms can avoid the fixed costs of salaries and the benefits associated with the full-time workers. In case you aren't a law firm, you might want to focus more on the bottom line of your business and focus more on developing and improving the product or the service you provide. Well with outsourcing you will be able to do that. You don’t have to spend time and money managing a legal department or paying fortune to law firms locally to handle your legal work. You can outsource all the legal work and forget about it. An offshore firm will take care of all the legal work for you while you focus on catching up with your competition and improving the service of product you sell. Outsourcing is definitely beneficial to your business, but you have to put in my mind the fact that before outsourcing you have to put a lot of factors in mind, you have to do your research and choose the right offshore firm that will satisfy your business's and take care of what you need. You have to investigate thoroughly the expertise of any potential legal firm abroad. It is essential to know the background of the company and their processes. And before making any deals with them you should clarify the company’s methods of avoiding conflicts of interest. ​Another thing is, you have to make sure and pay close attention to privacy concerns. while much litigation paperwork usually deals with information that is of public record, some issues aren't quite the same, such as immigration, bankruptcy and tax law. These issues deal with very sensitive information so you have to be sure that the firm you are dealing with is secure and takes client privacy very seriously. Make sure to find the right experts you are looking for when outsourcing. Experts that are able to handle the very specific tasks you have. Make sure to explore all options available to you and choose the best offer. Check for reviews from past firms and get in contact with the company and make sure to get everything on a contract to avoid in clashes in the future. Make sure they are able to understand your mission and business model and follow it. All these are precautions that are necessary to take in order to avoid in problems in the future when it's too late. ​​Outsourcing Insight is able to handle all your legal work today and make sure you get what you need. With brand's wide pool of attorneys and expertise you will be able to outsource your legal work without worrying much about anything. We handle and care very much about our client's and their privacy and we never disappoint. ​Outsourcing Insight is able to provide the highest quality work possible and provide clients with convenience and comfort with no issues.